Designer's hand-crafted leather goods. Exclusive. Limited. Today, I'm going to introduce to you some lovely handcrafted leather-made products made by my sister!! 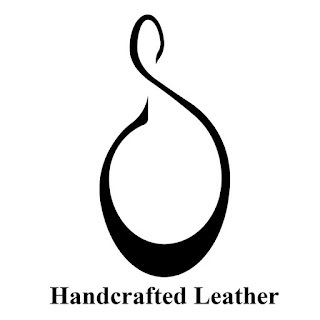 She even started a small little business for it - Sweatt'sand this is her simple yet elegant logo. My sister always has a knack for making things. She is a person of art. For this leather-making, in particular, it all started with her love for her boyfriend that made her passion grew. He is a to-be chef. In order to support his career and dream, she made him a one-in-a-kind stylish steampunk knife roll to protect his beloved knife equipment. Below is another project - a knife sheath that she made for her friend on his request. Then, she began a new project of making a small little bag, the size that our mum love, with her remaining leather to thank her for all the sacrifice that she made.